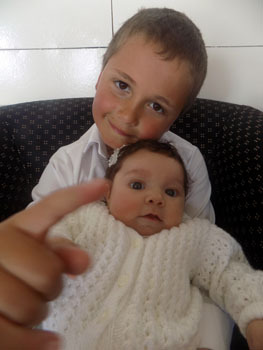 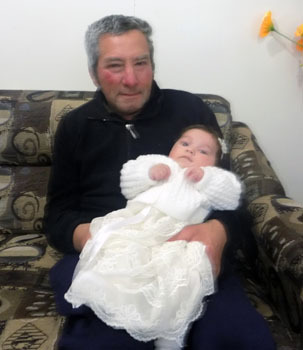 Hannah Green was Christened on 25th September 2016 at St Joseph's Church, Tristan da Cunha. 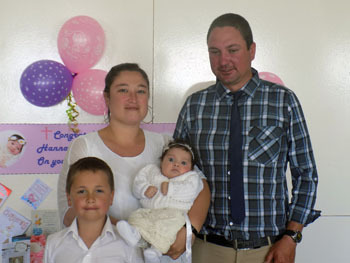 Hannah Green was baptised on Sunday 25th September in St Joseph's Church by Father Paul Taylor, visiting Catholic priest during the Agulhas visit. 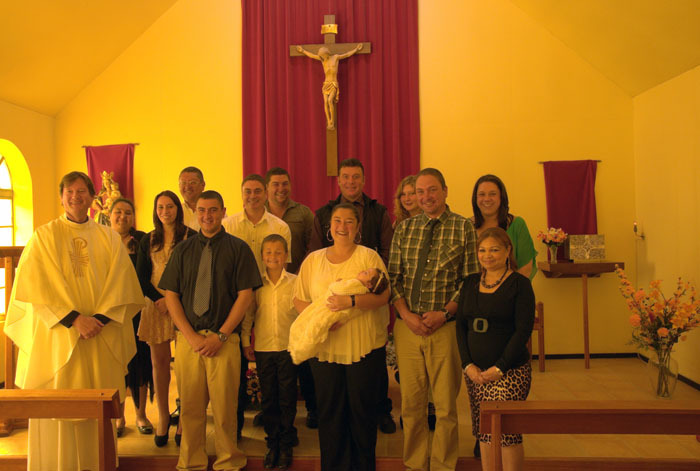 Back Row - Linda Green, Glenda Swain, Grant Green, Patrick Green, Andrew Green, Clive Glass, Leanne Swain, and Emma Swain. 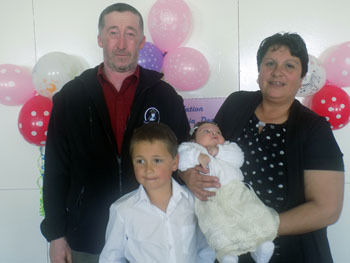 Absent Godparents were Matthew Green, George Swain, Adrian Swain, David Gerber, and Francesca Constantine.